We are starting this morning a series in the book of 1 Corinthians. So I’m going through the entire book of 1 Corinthians, line upon line, precept upon precept. Just putting it together, I am so encouraged. There is so much in this book for the church. 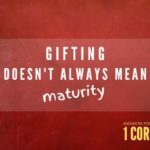 So the message this morning is this: “Gifting Doesn’t Always Mean Maturity.” Just because you’re gifted doesn’t often equal maturity. A lot of times you’ll see somebody, maybe new in the faith, and you say, “Boy, they are gifted by God.” They have this calling of God, maybe they have the gifts of the Holy Spirit activating in their lives, and you see them just not really acting mature. But we have to remember a gift is a free gift, and maturity often comes later. And as I was putting this message together and focusing on this title, I started to realize that there’s so much to say before I get to this point, and I put this point at the back end of the sermon. I hope that’s okay. But let me just tell you upfront that we need to have a lot more grace in the church because somebody may be gifted—“Boy, look at them”— but if they’ve only been a believer a year… Remember your first year? Or first few years? Or even now? There’s a struggle that takes place. So just because somebody’s gifted and called, there is a maturing process. And the series is entitled “Answers for a Confused Church.” The church is confused today, and I actually wrote a book by that title. You can download it free on our website at WestsideChristianFellowship.org. Answers for a confused church, we’re going through the book of first Corinthians. And before I forget—I should’ve announced this. We now have an app available for Westside Christian Fellowship Radio Network, so you can just click the app on Google Play and find it, or on iTunes. It’s WCF Radio Network. Just hit it, and you can listen to the radio wherever you’re at in the world as long as there’s an internet connection. So this message is “Gifting Doesn’t Always Mean Maturity.” Here’s a synopsis. This whole book, at least the majority of it, teaches this: saints can sometimes act like sinners. Did you know that? Christians can sometimes act like sinners. And I’m wondering, did you hear about that church recently, full of idolatry and division and lawsuits and sexual sin and abuse of the gifts and disunity and divorce? Did you hear about that church that’s been in the news? That’s most churches. Paul was writing to the church in Corinth this letter, and believe it or not, everything I just mentioned, we see in every church. In this church? Yes, we do because when you try to find that perfect church, and you end up there, it’s no longer perfect. You’ve heard that before. Right? Because we are people struggling through life. There are people here who don’t know the Lord. There are people here who remember believing in Jesus, but the world has them trapped. You see mature believers. You see a whole mix of different believers. Here’s why this is a struggle, and here’s why these things are an issue. Spirit-filled believers, even people filled with the spirit of God who love God are going to struggle with certain things. Jealousy, envy gossip, suing one another, jockeying for position. You say, “Well, Shane, this is terrible.” Well, here’s why this is happening. The greatest battle, and you’ve heard me say this many times, is within. The greatest battle is within. So even a spirit-filled believer, they’re filled with the spirit of God, and they been wronged: I’m taking them to court. No, there might be a time and place for that. That would take a whole sermon just on that topic. But when we get to it, as we’re going, the heart shouldn’t be to get them back and go to court. There might be times for that, child custody battles and different things, but see, that rises up in us. I know it’s not right, but it rises up, so there’s this battle. Yes, I’m going to sue them or take them to court, but knowing, I really shouldn’t do that. But many people, charismatic leaders that we look up to, that are famous—I think of Dr. Tony Evans or Jim Cymbala, who I look to up to, or Alistair Begg, and different people we hear on the radio. You’d be amazed at how humble they actually are. So God does give a person a platform sometimes, but as long as they’re humble and trying to point people to the cross. You can never avoid being noticed by people, but you can avoid having a haughty attitude, and helping people point them to Christ. So that’s why 1 Corinthians is so important. This is a spirit-filled church, but there’s a lot of junk, there’s a lot of misbehaving, there are a lot of things going on. So how do we deal with it? Well, here’s the other challenge. We don’t just have spirit-filled people in the church. We have carnal. This might be good to explain what this is. When Paul talks about carnal people, he’s talking about those who predominantly are led by their carnal nature. People have said there is no carnal nature, but the Bible is pretty clear that we have this new nature in Christ, but we have this ball and chain we’re carrying around on the side of heaven, known as our flesh, that doesn’t want us to serve God. So when people are operating in their carnal flesh, it’s much different than the spirit-filled believer because the spirit-filled believer might do something and they’ll apologize. They’re wanting to work on things, they’re wanting to strive, they’re wanting to watch what is godly and not this garbage on TV, they’re wanting to do things for God, and they’re repenting, and they’re humbling themselves, even though they might make mistakes. But the carnal Christian—you know that person. Here’s what you say: “How can they put the sign of the fish on Facebook when they post that on Facebook too? They call themselves a Christian. I know what church they attend. How is this possible?” But they’re led by their carnal nature. Chatty Cathy, always causing division, always gossiping, not fostering unity. Or other people are out partying sometimes or watching things they shouldn’t be watching. Why? Because their lifestyle is led by that carnal, fleshly nature. In reality, here’s what’s usually happening. They have not fully surrendered their life to Christ and said, “You are Lord; I’m not. Have every area of my life. Lord Jesus Christ, take over.” And as you empty yourself, you’re filled with the spirit of God. But most of these people are fighting that. We all know Christians, and we think, two and two is not equaling four. They’re not in church. Well, Easter and Christmas. Or, I’m bored. I have nothing else to do. But everything else comes before pursuing God. That’s carnal. There’s a carnal nature. Now, on the flipside to that, there are also what in the church? Unbelievers. So we have people who are not believers in the church as well. So you have these three distinct groups of people. Unbelievers, but they’re seeking, and they actually look carnal because they are carnal. They’re led by the flesh. And then you have the carnal Christian who is kind of caught in the middle. You know, “I’ve got my ‘get out of hell free’ card. I’ve embraced Jesus.” Now there are some questions there, and I really challenge carnal Christians because if there is zero fruit, there might be zero relationship. If there’s no fruit, no passion for the things of God, no desire to live for God, there might not be a genuine relationship. I can often see this, believe it or not, where the rubber meets the road is either often in prayer, worship, or Bible reading. And I hear this from Christians: “I don’t like worship music.” Hmm, but you like all this other stuff that’s dark, demonic, ungodly. Why do you like it? If you say “I don’t like worship, ” there’s a difference between someone who likes worship and then also puts on something they shouldn’t. They’re double-minded, they’re carnal. But the person who doesn’t like worship, if they want to avoid the worship service, they don’t want to put worship on. I’m all for preference; I know there are different preferences in churches. That’s a whole ’nother sermon. The old hymns, the new hymns, contemporary, choir, piano, organ, drums, guitar, suit and tie. Why are they standing? Why aren’t they standing? Why aren’t they lifting their hands? Why are they lifting their hands? Why are they this? Why aren’t they that? Why? Why? Why? Why? Why? But I’m not talking about preference. I’m talking about the heart to worship. And you’ll never see a carnal person at the prayer meeting. You’ll never see an unbeliever praying, really praying, and you also don’t see them in the Word, studying the Word of God. You want to be used by God? Fear Him—in a good way. Could it be that many of the challenges that we are facing today are really just opportunities to be shaped by God? Everything I just mentioned, most people in the church are challenged with this church. The Corinthian church had idolatry. Well, what is that? I don’t have little idols in my home. No, but they’re effectually known as the entertainment center, right? Anything that becomes more to us than God himself. This is my big beef right now with sports. When I was growing up, they didn’t have sports on Sunday. Now it’s every Sunday, and kids are traveling and going here and there, so this becomes the idol. I want my kid to be the next Mike Trout, $450 million contract over twelve years—the highest paid professional ever. To me, those numbers are ridiculous, but that’s a whole ’nother sermon. I like the guy, but that’s too much money. But idolatry puts something up on this pedestal. We’ll get to God later, and we begin to pursue everything else but God. That’s called idolatry. Anything that is making your decisions and changing your decisions and putting your focus on something other than God is known as idolatry. It’s putting an idol in the place where God should be. Well, how do I know? I’m worried. Look at your checkbook and your calendar. Where do we spend our time? Well, it’s quiet in here. Where do we spend our time? Idolatry. The voice of the Lord is powerful. The voice of the Lord breaks the cedars. The voice of the Lord shakes the wilderness. The voice of the Lord strips the forests bare. That’s the God you serve. That’s the God you can go to. This voice thunders. It gets everyone’s attention. The voice of God thunders. All other voices have to be silent. When you cry out to God, and you say, “God, you speak to me, and no one else,” that voice will thunder, and it will come down. It will rain down in your life, and it will move out demonic voices. It will move out the voice of the world. It thunders. No other voice can compete against God. It is powerful. What other voice is powerful like God’s? Well, how powerful is it? He spoke the universe into existence. Billions of galaxies. Every time I try to study the universe, I actually get a headache. It’s how big? There are stars we can fit our universe in. I mean, I don’t want to misspeak, but it’s incredible. I just get a headache. This is an awesome God. So that voice is so powerful it creates life. The voice of the Lord is full of majesty. What is majesty? Honor and glory, everything due His name. The voice of the Lord breaks the cedars, and we might not think this is too relevant, but they knew exactly what they were talking about: the huge cedar trees in Lebanon and different areas. It’s this enormous tree. You can think of, not quite as big, but the oaks of Sequoia National Park, and these huge trees that would just break like a toothpick. So the process of maturity. Do you want to mature in your faith? I bet if we took a survey, 99.9 percent of you would say you do, as do I. The process of maturity always involves obeying. If you’re not obeying, you’re not maturing. I need to really get this point across. If you’re not obeying the Word of God, you are going to stay stagnant. You’re not going to mature. I know people, and so do you, you see them five years later, and they look and act the same, if not worse. I actually don’t believe a Christian can stay static. What I mean by that is neutral. What I mean by that is not moved and in this middle ground. If we’re not serving God and pressing in and maturing, we’re actually regressing. There are only two directions for a Christian to go. I think many people are fooled into thinking, “I’m happy. I’m content. I’ll stay right here.” Something’s pulling you. Something’s pulling you to the spirit of God or the world. And that’s why it’s pressing in and seeking God. And when you fall, you fall forward. You get back up. The Christian life, like I explained to somebody before, is like taking one step forward and two back. It’s this walk of falling and getting back up and persevering. Why is perseverance mentioned throughout the New Testament as something that a person must have? Those who persevere to the end will be saved. Those who persevere in the fight against satanic influences will win. So are you ready for this journey through 1 Corinthians? Yes, I’m sure you are. It all begins here: hearing and doing the Word of God. It’s funny, I talked to a therapist about this. I recommend therapy sometimes, if it’s a godly counselor. Really, I just call it godly counseling, and if they can look at the Word of God and help a person see the Word of God. But they explained to me that so many people come in—and I don’t know what they call this—and they actually go, and they hear something, and they go, “Oh, I feel so much better. I’ve been set free.” No, they just heard it. Hearing is not doing. So there are so many people who come into church: “Oh, I heard the Word of God.” It doesn’t matter if you’re not applying it. I can talk about humility until I’m blue in the face, and people will go, “Ah, yes, that’s wonderful,” and they’ll leave here prideful and arrogant. Next Sunday, same thing. Let’s just install a treadmill. We fool ourselves. How many have marriage issues? Husbands and wives sit down, they hear each other, but they don’t change. That’ll last a few days because the spouse is going, “Oh, they heard me.” But that’s all. Same thing with God’s Word. Hearing must be backed by doing. Paul, called to be an apostle of Jesus Christ through the will of God. Now this is interesting because the Bible also talks about “not many are called, not many are chosen.” Now some people say that relates to salvation; other people say it refers to this. Some people are called. Like Paul was called by God. I don’t think he had a choice in the matter. Jeremiah was filled with the Holy Spirit and formed into a prophet before he was born. God said, “Jeremiah, before I even formed you in the womb, before the chromosomes met, and here you go. I formed you, and I called you. I chose you to be a prophet among my people.” John the Baptist. Anytime you’re filled with the Holy Spirit in your mom’s womb, you’re going to be powerful. with all who in every place call on the name of Jesus Christ our Lord, both theirs and ours: Grace to you and peace from God our Father and the Lord Jesus Christ. So he’s setting the stage. I think what he’s doing is called the sandwich approach. You really make them feel, “Ah, I just love you. You’re saints, you’re called of God,” but here comes a sledgehammer. Bam! And then he builds them back up at the end. So we see here the call, the summons of God, is to the saints. Sosthenes could have been a past enemy. Different commentaries are divided on this, but we know he’s pointing out this person. But something that’s interesting. I stopped for a minute and wanted to talk to you about it. It said, “Paul, called to be an apostle.” Paul was called to be an apostle. Now for many years in the early church these terms didn’t have negative meanings: apostle, prophet. Turn on TV, you’re like, I’m already tuning these guys out. Apostle, prophet, pastor, teacher, evangelist. These are all ministries that the Holy Spirit has given us. But what he gave Paul, specifically, He called him to be an apostle. Now this word usually means “sent out.” So if a person is going to stay plugged in—for example, there was an apostolic edge to what we did when we planted the church—because you’re being sent out, you’re planting a church. But there’s more of a pastor-teacher role because you’re staying put. But Paul was called to be an apostle, so he went out. That’s really what that term is—going out and planting a church, going out and doing a work of God. They are apostolic. They are apostles. So the term is not bad, but the abuses have been really bad. Watch out for the one who puts that title on their business card. 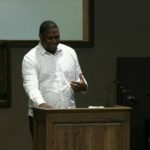 Apostle and prophet, Shane Idleman—run. Because those truly called by God are not looking for titles. They don’t desire titles. They operate in the gifting. They don’t look for the confirmation of men. But also, it’s interesting, a church planter, but they also strengthen the churches. You can see it in Acts 15. So they are people who come into the church and strengthen the church. They travel, they plant, and they come in, and they strengthen the church. We have to remind people, and this might be a good opportunity for some of you, people need to stop seeking titles. I want my gift on my business card or on my book cover. I want this position at the church. I’m the boss. And Paul’s going address this. As soon as people get a little gifting, what do they want to do? Market it, promote it. Now this is a hard balance to find because you want to operate in your gift. You want to bless people. God’s called you to do that. There’s nothing wrong with that, but we have to be careful: Where is our heart? We shouldn’t want titles given to us. But I believe Paul is letting people know here he was called by God to be an apostle of Jesus Christ. Verse 3, “Grace to you and peace.” This is where John MacArthur draws the name of his ministry from, if I’m not mistaken. I want to talk to you just a minute about peace, thoughts on peace. Many unbelievers don’t have peace because there’s a struggle going on. They’re trapped in darkness, but they see the light, and there’s this struggle. They lack peace. True peace and contentment only come when there’s a right relationship with Jesus Christ. That’s where true peace comes from. But what I want to bring to you this morning was this. There’s also a mishandling of peace when it comes to the life of the believer. I felt maybe you just need to be encouraged this morning. It’s okay. It’s okay during struggles in determining God’s will. You’re not going to sit on a cloud of peace all day long. I would say just about every time God has done something in my life or in our family’s life, there hasn’t been peace all the way through. It’s a battle because you’re determining God’s will, and you want to be sure that it’s God’s will. For example, when we purchased the radio stations, that wasn’t a lot of peace during that process. There were seasons of peace: “I’m resting in you, God. I’m trusting you. Oh, there’s so much peace—if you’re doing this,”—and then “What about if you’re not? What about if this isn’t God? This is silly. This is stupid.” Or planting the church or starting something or should you move, should you sell something. So be encouraged. It’s not like, “I made a decision. I just have peace all month long. I’m just perfectly peaceful.” Sometimes there’s a struggle. But sometimes you do get the peace. You say, “You know what? I have peace about this, and praise God.” But sometimes you’re struggling because your flesh is still battling. I often say, and I’ll be upfront with you, I’ll tell you, and I say this often: I trust God immensely, there’s no question. I just don’t trust me or my feelings all the time. I think we should do that. But what does God want? So in that process, sometimes there’s not a lot of peace. It’s a struggling match. Lord, is this really you? I don’t know if this is you? And you’re struggling. But I can tell you this. Through that struggle, there will be seasons of peace, as you’re resting. He loves the person who’s not rushing ahead. He loves when you’re not rushing ahead and just waiting on Him. And as you wait, the peace comes. Watch out if you have to force him to make a quick buying decision, right? There’s no peace. That’s why I’m a used-car salesman’s worst nightmare. “Sir, this might be gone next week.” Well, then praise God. I don’t want it. “You’ve got to decide today.” No, I don’t. Peace. Waiting on God. I believe at the end of the process there is tremendous peace. I think before you make a decision, there should be peace. There might be a little turmoil and a little, “God, I don’t know, but I just have peace. I’m trusting you. This looks like it could be your will. There are no spiritual laws I’m breaking. It’s going to help bless others. I’m not trying to do something or mislabel something or cheat something.” And as you trust God in that process, there is peace that surpasses all understanding, as you’re waiting on God. If I had a dollar for everyone living in sin who said they had peace about it, we would be doing pretty well. Now on the flip side, I think Christians can say that. Once they’ve prayed about something, they’re feeling good about something, and they’re moving forward—“Hey, I have peace about it”—it’s good. But it’s that reaction, it’s that quick thought, that quick reaction, and really, it’s a defense mechanism. No, that’s fake assurance and false humility and a lot of things. God doesn’t operate in that. I thank my God always concerning you. Even in the midst of challenges. This might be for somebody this morning. Are you thanking God always, in all situations, no matter what’s going on? You don’t have to thank Him for the adversity but thank Him through the process. God, I thank you that I know you. Paul went through hell and beatings and fastings and almost dying and being jailed and imprisoned. In everything he gave thanks to God, and he thanked God for the people of God. I thought about this this week. What about if we came into church thanking God for all of us instead of pointing out things? Why haven’t they done this? Why are they doing that? Sin sniffer. Instead of asking why, we should be thankful. Pull into the driveway and say, “Oh, their car is here.” Come on, don’t act like you don’t know what I’m talking about. But be thankful for them instead because iron does sharpen iron. I thank my God always concerning you for the grace of God which was given to you by Christ Jesus, that you were enriched in everything by Him in all utterance and all knowledge, even as the testimony of Christ was confirmed in you. This word enriched is just incredible. It says everything in you was enriched. Do you realize that? Once you believe in Jesus, did not everything become enriched? I’ve never met a person saying, “Shane, I love God, but my marriage went down the tubes when I became a Christian. My thought life went down the tubes.” Now there are challenges, there’s demonic attack, but overall, everything should be enriched, edified, things added to. That’s what that word means. Enriched. But I’m going to go on a tangent—allow me for just one minute—don’t trust food labels that say enriched because that means all the good stuff has been taken out, and we’ve had to enrich it with these vitamins and enzymes and all these things. For example, wheat in its purest, good, godly form is wonderful. When they take everything away from it and make white flour, they have to enrich the white flour with the stuff they just took out, and it’s never as good as what God designed. It’s synthetic. So that’s just a side note; just take it for what it is. I am speaking on health again in July. We’re going to have a health expo. Every six months you need to get back on track. It’s coming, date to be announced, mid-July. But he’s saying here, “You are enriched in everything by Him.” So first we saw the power of thankfulness. Everything is positively affected by God, and then, our testimony, “even as the testimony of Christ was confirmed in you.” Our testimony or lack thereof speaks volumes. I think it’s good for us to ponder this. What is my testimony? In other words, what do people think of me all week? What do they think of my Facebook posts? What do they think of my attitude? Watch out, because others are looking. We were down in Santa Clarita a few days ago. Got a used car, a good deal. This guy took where I wanted to park, and so you know, you’re in a hurry, so I got out. But I was nice. I said, “Hey, how’s it going?” He had this incredible toolbox on the back of this little car, and he goes, “Oh, yeah, I fix all their dents and stuff, I watch your videos sometimes. I’ve been to your church a few times.” “Oh, well, nice to meet you. Thank you, praise God.” And I go, “Thank God. Thank God. That was a close one.” But you know how you get. Something’s in your way, and the flesh acts up. Remember, the spirit wants to do what is right, the flesh comes in and wants to war against that. What he’s saying is you have everything you need. As a believer, did you know you have everything you need in Christ Jesus? Now some people skip this first couple of verses, verse 8, 9, 10, and they get right to the meat of 1 Corinthians, but I don’t want to do that because I think Paul’s setting the stage here. He’s reminding them who they are in Christ. He’s reminding them they lack nothing in Jesus Christ because I’m thinking many of them are saying, “Well, I’m sure lacking. I’m not feeling this. I’m not experiencing this,” and he’s going to get into why, and I’m hoping to touch base more on that next week. That’s why I love that song that many of you might not understand, but it says, “God, you provide the fire, and I’ll provide the sacrifice.” God says, “Anytime you lay down your life on the altar, you give me everything, I will reveal the manifest presence of my power and Spirit into your heart, and I will lift you up. I’m committed to you.” At one in the morning, at 1:15, at 1:30, at 1:45, at 2. Where can I go? Where can you flee from His presence? The Bible says, “If you go to hell, behold, if I make my bed in hell you are there.” If I take the wings of the morning and go to the Atlantic and the Pacific, even you are there. You are there—what? To uphold me. To pull me back up and put me back up on solid footing. He’s constant. He’s unwavering. He’s steadfast, he’s dedicated. He will never sleep. He will never slumber. That’s the God you serve. And we have to be reminded of that. My Lord, why are Christians so frumpy and worried and depressed and fearful when they have the almighty living God at their disposal? Have you thought about that? Cancer. God says, “I can speak to those stem cells, or I can walk you through it.” I’ve watched a couple people pass away that have been here, by their bed, a few days prior. It’s amazing when they’re filled with the spirit of God. I go in there to minister to them. Guess what happens? Shane, don’t worry. I’m going to be with Jesus soon. But isn’t that true? I mean, if we believe what we believe, those nearing the end should be some of the happiest. Oh, here it comes. Here comes that finish line. God, I have finished the race. I have finished strong. Now just hold me. Get me to that finish line. I’m going to trust you. But why are most Christians fearful? I don’t want to die. Many times because they’re not ready. Listen, I came here to shoot you straight, not play games. Many people are not ready to meet their Maker. The Old Testament prophets say, “Prepare, O Israel, to meet your Maker.” Prepare. Get your heart right to meet your Maker. So “that you come short in no gift.” Are you coming short? We can glean from this. Are you thankful, are you obeying, and are you trusting God? You will not fall short in any gift. I’m not going to talk too much about this because I’m going to talk about this later, but this word is interesting. Do you know what—you scholars out there are going to know—what is the word gift in the Greek? There’s a denomination named after it: charisma. Charisma, charismatic. And as a side note, that’s where a lot of denominations come from. Charismatics believe this. Pentecostals believe this. Pentecostals would believe that the evidence of being filled the Spirit is speaking in tongues in all cases. Charismatics believe in the gifts of the Holy Spirit. Reformed, if you ever hear that, Reformed theology believes in Calvinism and the five points of TULIP. Then you get to Baptist, which believes in a believer’s baptism. They were called the Anabaptists, and they were actually persecuted. Did you know that? And what they believed is, they went against Roman Catholicism, saying, “You can’t just baptize that little two-month-old. They have to be baptized as a believer.” We believe this. So what comes from that? Baptists. So I guess we would be a little bit of all those groups. What about Methodist? Presbyterian? They’re all going very dangerous directions; their founders would roll over in their graves if they could see where they’re at today. Methodist comes from the word methodology. The Methodists were founded by John Wesley, friends of George Whitefield, and John Wesley had a method about doing things. They would study the Word of God. There was methodology. So those people who gravitated toward that became the Methodists. Presbyterians came from John Calvin. Lutherans came from Luther, and they follow those teachings. But anyway, he’s saying here, this gift charisma. It basically means bestowing a spiritual gift. So God gifts us, God will gift you to bless others. So let’s be controversial for minute. I’m going to get controversial later, but for example, Paul will talk about gifts out there. The gifts of prophecy, the gifts of a prophetic word or a word of knowledge. Don’t let abuses knock you off course. Just because people abuse these things and look weird doesn’t mean it’s not biblical. Actually, if you believe that God still does that, you have a more solid grounding in Scripture than those people who say they don’t exist anymore because the Bible talks about it. The Bible talks about how to conduct it. So if God gives you a prophetic word, all that means sometimes is God put something on your heart, like, “Why do I feel like this morning in prayer, yesterday in prayer, I just need to talk to Phil. I feel that God wants me to talk to him, and it’s a bit on my heart that something’s not right. He needs to turn. He needs to turn immediately from what he’s doing. Lord, please help me. I don’t want this to be me. I want this to be you. I’m going to let this go,” and God will just let the hound of heaven loose on you all day. You go to Phil, and you say, “Phil, I don’t know what this is. It’s been a burden for a couple days,” and you tell him, and he starts weeping because he’s about ready to leave his wife. See, that’s how it works. Giftings to edify the church. So don’t go off TV, these guys acting all weird. What does the Bible say about these things? The Holy Spirit bestows spiritual gifts to believers. Those who have a strong calling to pray for people and see people actually healed, God puts it on their heart, this special anointing, this calling. They can’t just turn it on whenever they want and walk around like some superstar like Jesus Christ. 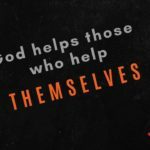 But God has called them. I know, because a lot of these gifts I don’t have. More people stay sick then get healed when I pray for them. Prophetic words, not too much. But I’m called to preach. I’m called to be that voice in the wilderness. God has gifted me to do what I’m doing, to make His Word come alive and to preach passion into the lives of others and to edify them and build them up and call the church back. So God will anoint that. See, here’s another misused word: anointing. Oh, we’re selling anointing oil on TV. I’ll anoint this handkerchief. It’s biblical. Anointing is powerful because it’s when God says, “I see your heart. I see your cries. I’m actually calling you to do this,” and the anointing of God comes upon your life. So don’t run from these words because of charlatans and fake things. Anytime there’s original, there’s always a counterfeit. And I’ll tell you this upfront. Anytime the Holy Spirit is moving in a powerful dramatic way, there’s always going to be a word spoken against it. Always. You can take that to the bank. If there’s not, something’s wrong. But anytime the Holy Spirit begins to move, so do oddities and people, the flesh, and the devil wants to counterfeit that. I’m going to be speaking a lot more on this from 1 Corinthians. I would encourage you to try to make most of these messages because it’s for us. I believe this letter is for the churches today. So here’s the key. Many are given gifts who are not yet mature. It only took me forty-five minutes to get to that point. Many are giving gifts who are not yet mature. I’m going to sum it up. If you want to prosper in what God has called you to do, if you want to be used by God, start being thankful, start being humble and broken, and start obeying the voice of God. You know if He’s telling you to do something. You know if He’s calling you to give up that attitude, that habit, and that’s why I mention this so often, because I have such a passion. Ask my wife. Ask others that I know. My heart passion is to watch others, help others walk as closely to God as possible. So my heart breaks when I see the living waters just steps away. It’s like this. I’ve explained it before. Here it is. I’m thirsty. I just jogged in the Mojave Desert for two days. Here it is. God, why? My marriage. Something’s wrong. I can’t. It’s right there! Their pride and their arrogance keep them away. Jesus said, “Just cry out to me. Just say you need the living water. Just say you need more of me. 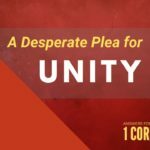 Just be emptied and broken before me,” and God says, “I will fill you with my Spirit.” Now those who truly surrender to the work of the Holy Spirit will be filled with God, will be filled with water, and drink abundantly. So is the reality of Christ confirmed in you? Is the reality of Christ and the Holy Spirit working in you? Be a fruit inspector. I’m getting to the end here. Jesus our Lord—the process of maturity always involves obeying. Why do you keep bringing this up, Shane? Why? Think about this. Why? Because this is the biggest deficit in most churches, including this one. The failure to obey the Word of God. You know, this might be a good opportunity. I was going to say this about twenty minutes ago, but if you feel called of God—something I did, I’m giving you my own advice—if you feel that God is going to call you, He’s going to use you, you want to do something, make sure you check with your spouse and your kids. If they say, “You’re not ready yet,” or “No, I don’t see that yet.” Why? Because they are the closest ones to see what’s really going on. We can walk in here and fool everybody for an hour and half. Ask those closest to you. It’s humbling, it’s hurtful, but boy is it encouraging in the end because that’s how iron sharpens iron. See, we love to quote that verse. I have a shirt that says it. I love to quote it, but I don’t like to feel it. Iron sharpens iron. I’ll tell you right now, you’ve heard me say some of these things. To become a better dad, I often have to be confronted by the shortcomings often from my kids: “Dad, why are you always on your phone? You don’t care what I’m doing? You’re not listening to me.” Or my daughter, “Why don’t you pray with me like you pray with others?” Bam! Shortcomings. You’ve got to let that iron sharpen iron, and say, “You know what, you’re right. I’m sorry.” It’s hard. You think I did that at first? I’m working. What do you think? You think I just sit at home? I’m working on my phone. I have to get stuff done. That sends a loud message to kids. What’s more important? So when you get hurt, don’t get defensive. Allow it to break you. I’m going to close with two points, and we’re done. The Bible always promotes urgency. I’m going to talk to a believer really quick and an unbeliever. The Bible always promotes urgency. Have you ever seen it in the Bible? “Today is the day.” “Turn now.” You’ll never see, “You know what? Consider it for a while and maybe next year.” It’s always now. Always now. I kind of link it to what we’re going through with the pregnancy because when that baby is ready, guess what? Wait until this movie is over. No, no, no. It’s time. I feel a contraction. I feel it. It’s time right now. No, no, no, no, not at midnight. I’ve been up all night for the last four. I’m not going to be up all night again. Come on, I just need some sleep. No, no, here it comes. The urgency. You have to respond to the gospel. Or is God calling you to respond to His voice, believer or unbeliever? 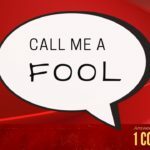 Is He calling you? Is He drawing you? Don’t keep running from God. Many of you know I went to a big event this week. It was called the National Religious Broadcasters Conference in Anaheim. There were thousands of people, and I saw a lot of people, especially coming down the elevator coming in. Mike Huckabee, Greg Laurie was there, the Beckham brothers, those twin guys, and Abby Johnson, who has that new movie Unplanned. She was there doing a radio interview. I walk out of the hotel, and I see Priscilla Shirer from War Room. I’m walking out and I say, “Hey, how’s it going?” “Good, thank you,” and she walked right by me, and I thought, “Oh, she doesn’t know me. No wonder.” Because I’m like, “Hey, how’s it going,” like we’re old friends seeing each other. No, she just walked right by me. Why? Because I know her, but she doesn’t know me. See, many people in the church know about God. They know about God. So when they, on the final day of judgment, when they stand before Christ, and they say, “Oh, that’s the Light of the World. I know all about you,” what does Jesus say? “I don’t know you.” What a call to people in the church—not to Hollywood, not to Washington DC, not to San Francisco. Those in the church. Stop playing games. Do you truly know the risen Savior, or are you just trusting in religion and not relationship? Will you hear, “Well done, thou good and faithful servant” or “Depart for me. I don’t know you”? It’s interesting. People say, “Why mention that? It’s so negative.” No, it’s positive. But it has to be negative first. How do you get someone’s attention if they’re not truly saved? The problem with many churches is they keep lulling them back to sleep. We assume that everybody coming in our doors knows God. And the truth is, many know about Him. I could stand up here for the next hour and give you story after story after story of deacons, those serving in churches for years, pastors, who never had a relationship with Jesus Christ. You can go through the motions. You hire a Hollywood actor, and he’ll be able to go through the motions. So we have to take inventory. Paul says, “Do you not know yourself? Is Christ in you? Examine yourself.” And don’t keep running from it. Humble yourself and make that decision today. So if you truly don’t have that relationship, just admit it before God, and say, “God, I’ve been playing church. I don’t know you, and I want to know you,” and God will answer that prayer.